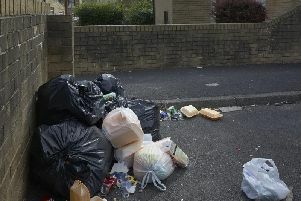 Campaigners are stepping up pressure on Calderdale Council and Lidl supermarket to ensure key planning conditions relating to water dispersal are met. Residents and businesses concerned flooding risk to their homes is being increased by the supermarket giant’s new Halifax Road store with particular concerns about the raised height of the new car park are urging people to back them by signing a petition. The petition will be presented to the council in a few weeks and copies are available to sign at outlets including Todmorden Market (several stalls), Hussain Brothers, Halifax Road Chippy and the Golden Lion. It asks the risk of flooding be returned to historic levels at the site. The council has issued Lidl with a planning contravention notice (PCN) after the results of Environment Agency modelling concluded flooding risk was increased with two conditions relating to surface and foul water drainage and flood risk remaining undischarged. Surface water drainage issues had not been resolved and the surface water drainage design was not approved by the lead local flood authority. The campaigners stressed they have no issues with Lidl as a supermarket - their concerns are purely due to the build not meeting the planning conditions. A spokesperson for Lidl said: “We are in ongoing discussions with Calderdale Council and currently carrying out further analysis of our site.” He added the new store was set to open this summer.